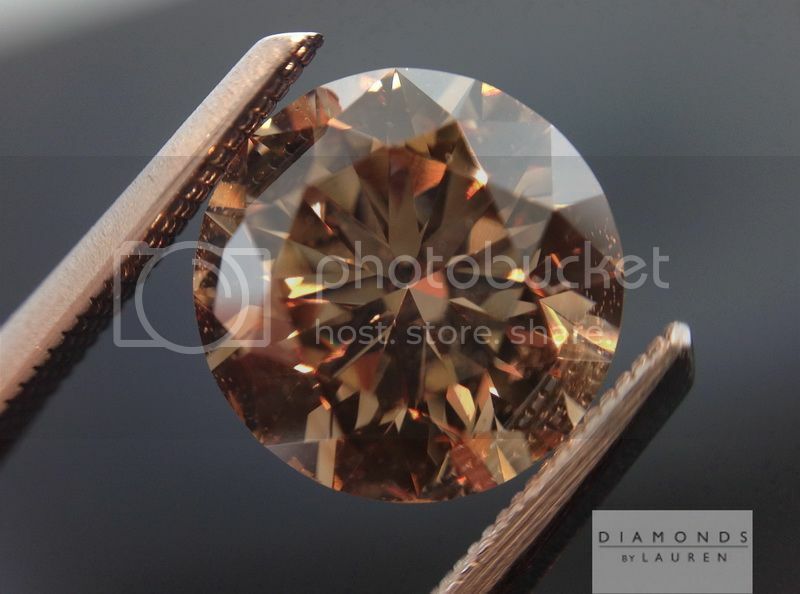 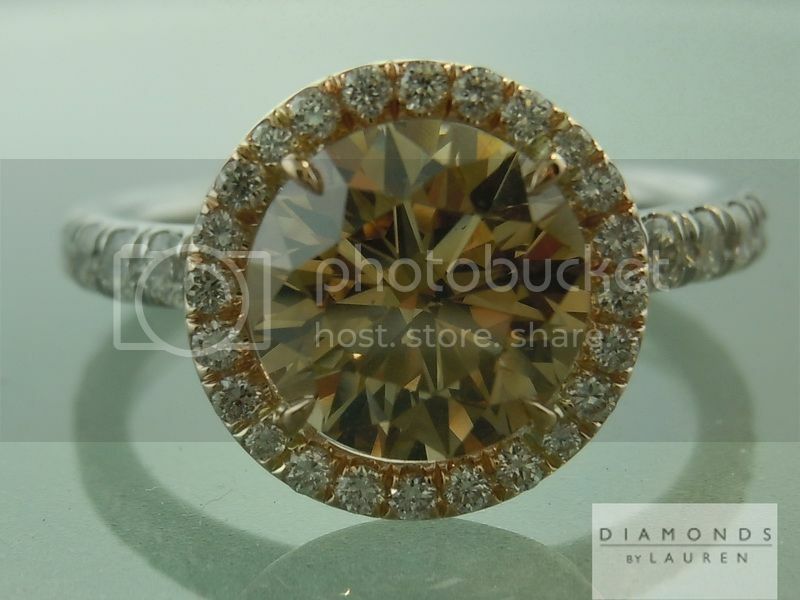 Here Is a gorgeous brown diamond in a very desirable size. 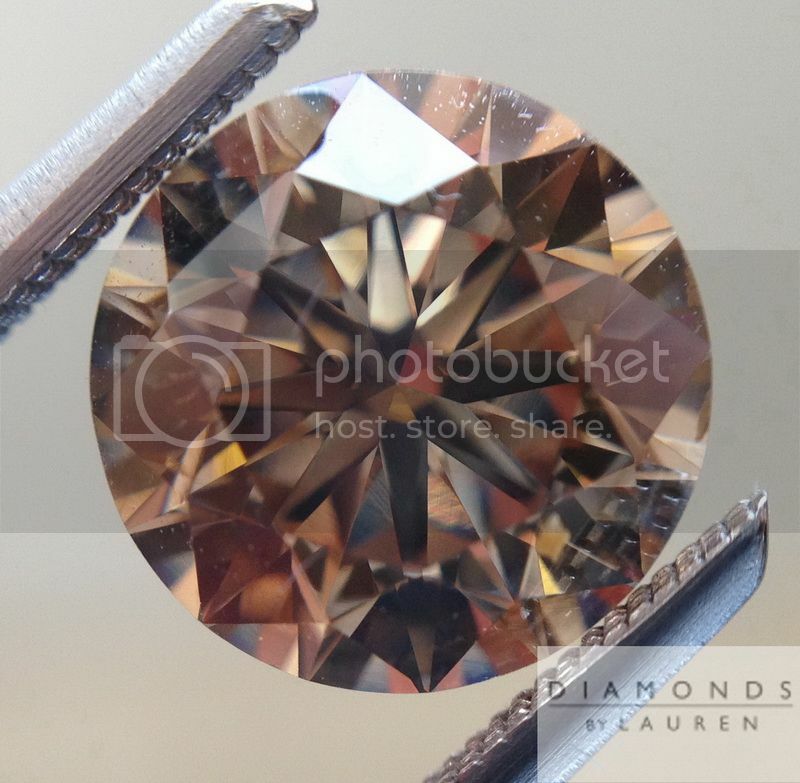 It Is rare to find round brilliant cut diamonds cut between 1.9 and two carats, because normally the cutter will save a little bit of weight to make it 2.00cts. 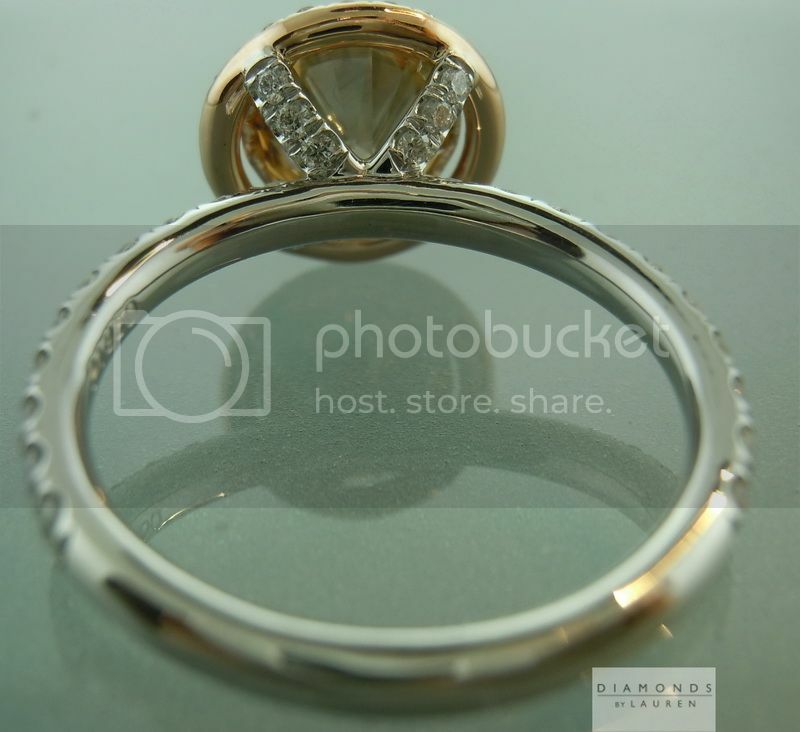 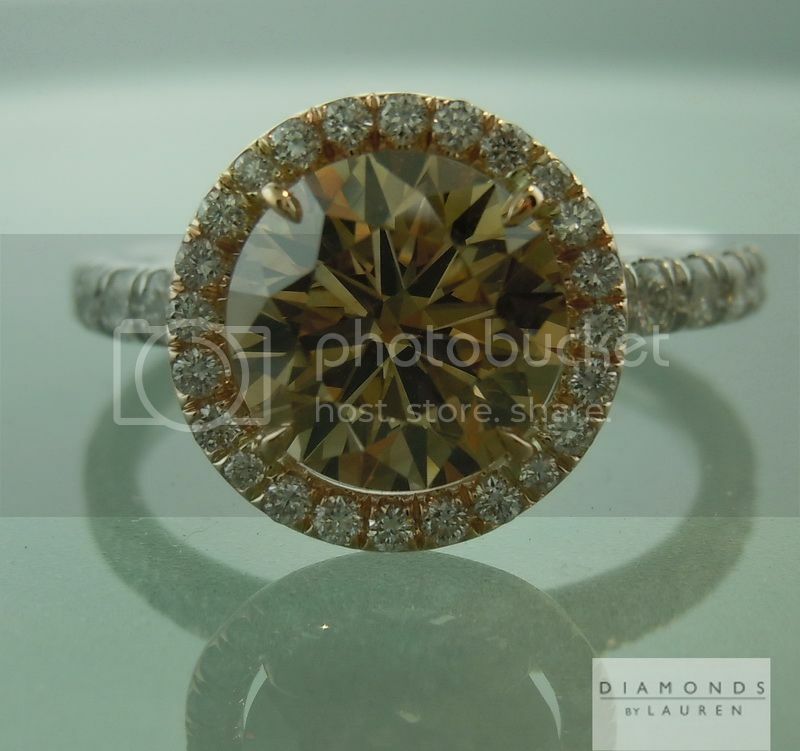 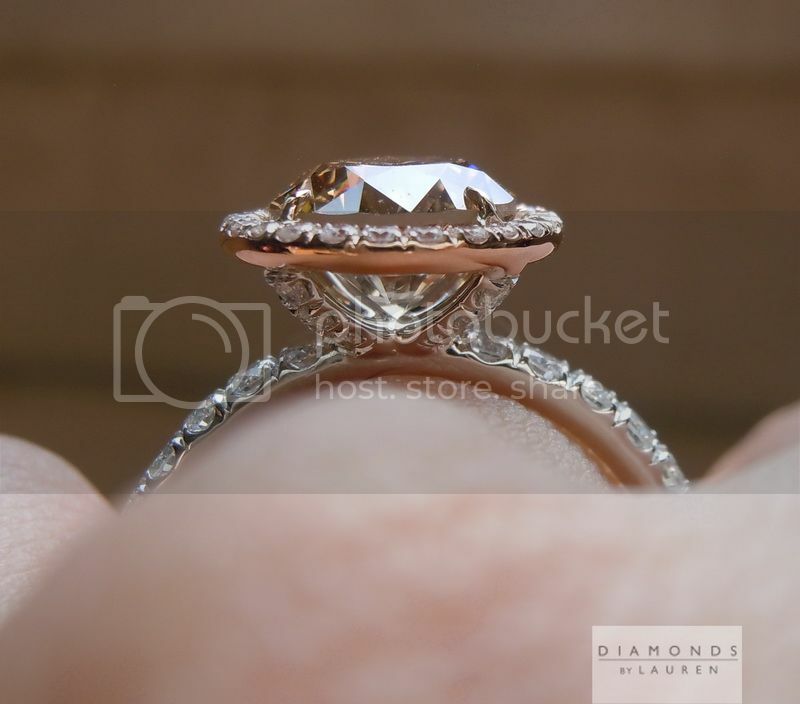 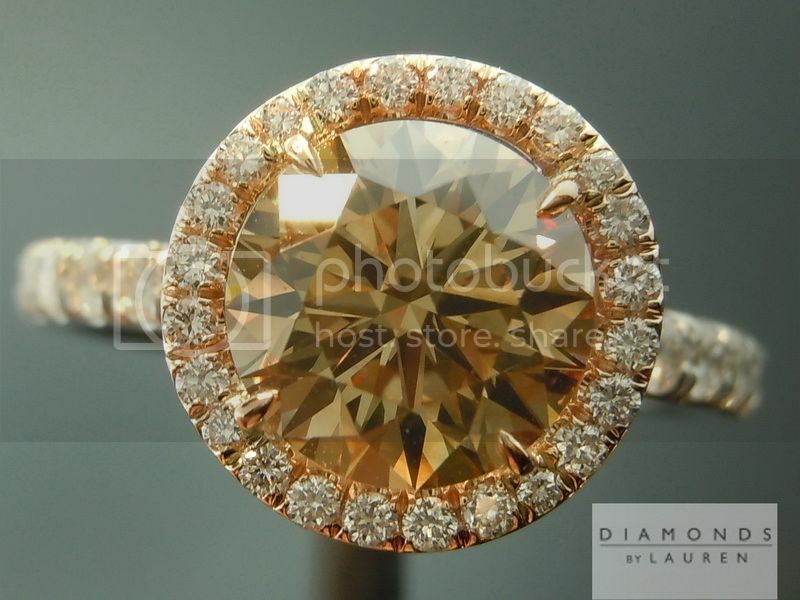 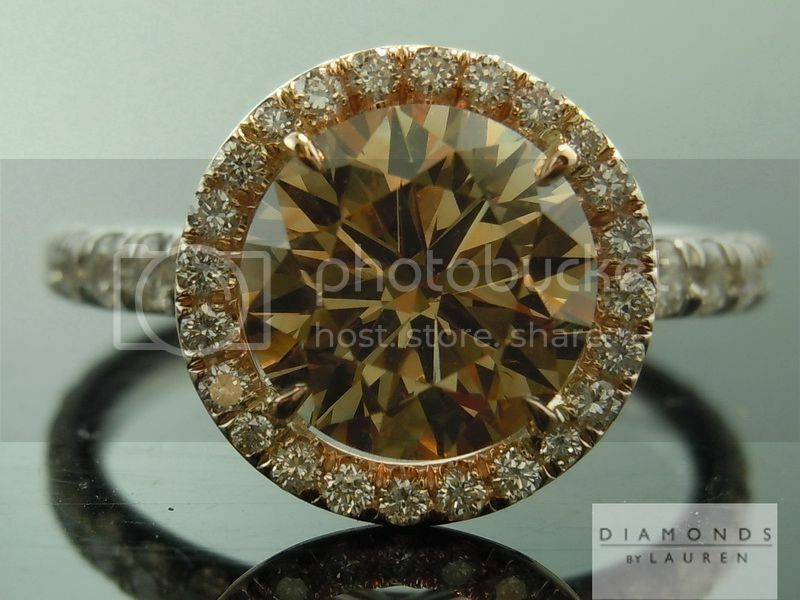 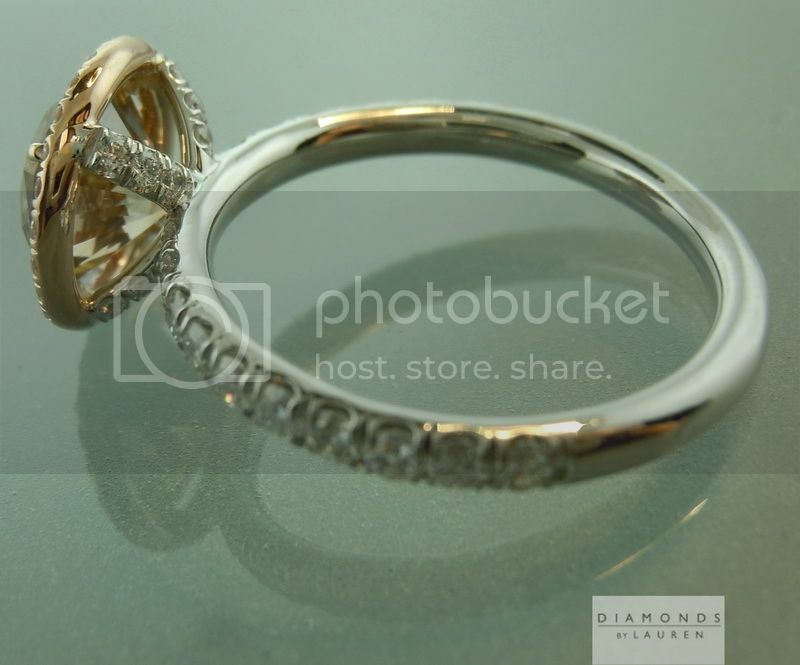 But with brown diamonds, the price is so reasonable to start out with and there is no set jump at two carats. 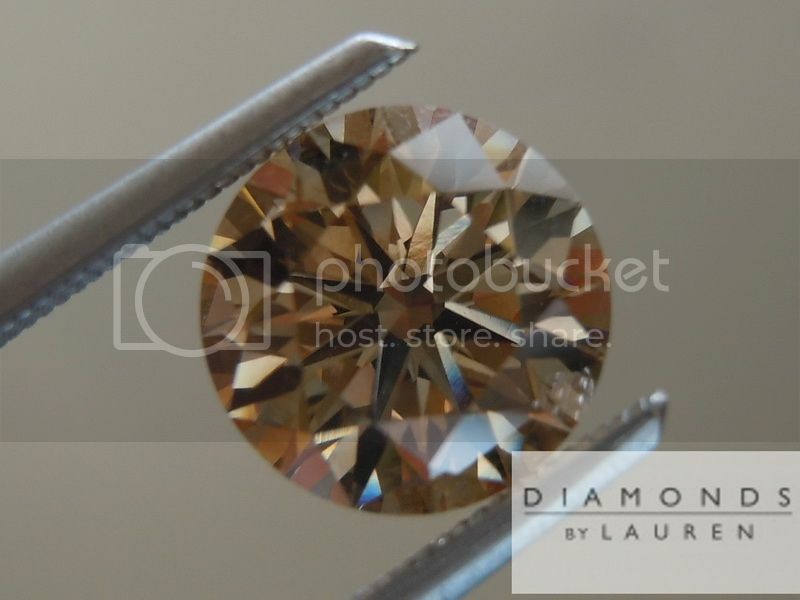 So the cutter did his best and came out with a beautiful cut for a brown diamond. 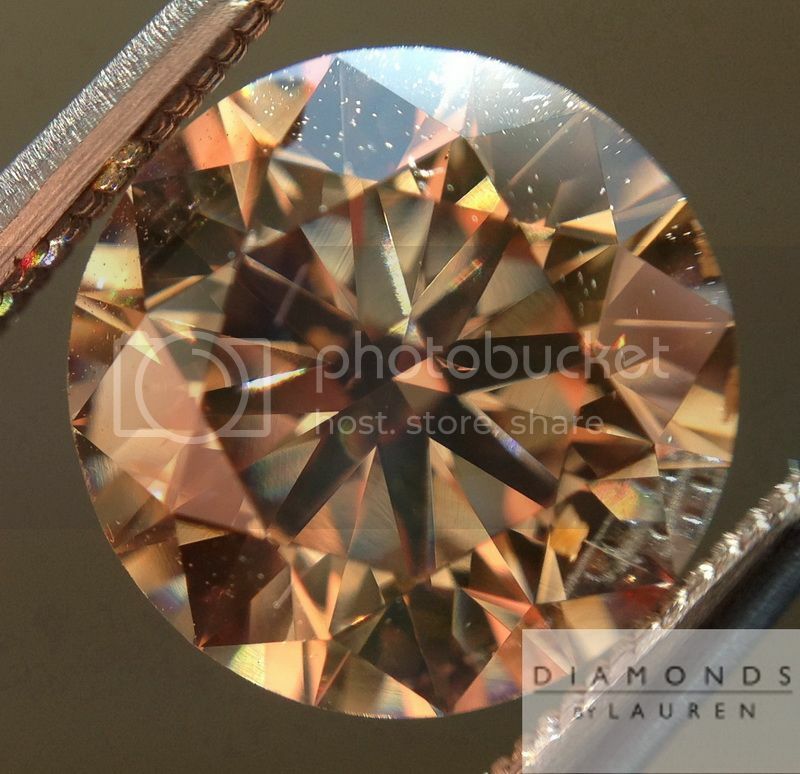 The photos give you an idea of how brilliant the stone is – in spite of the intense color. 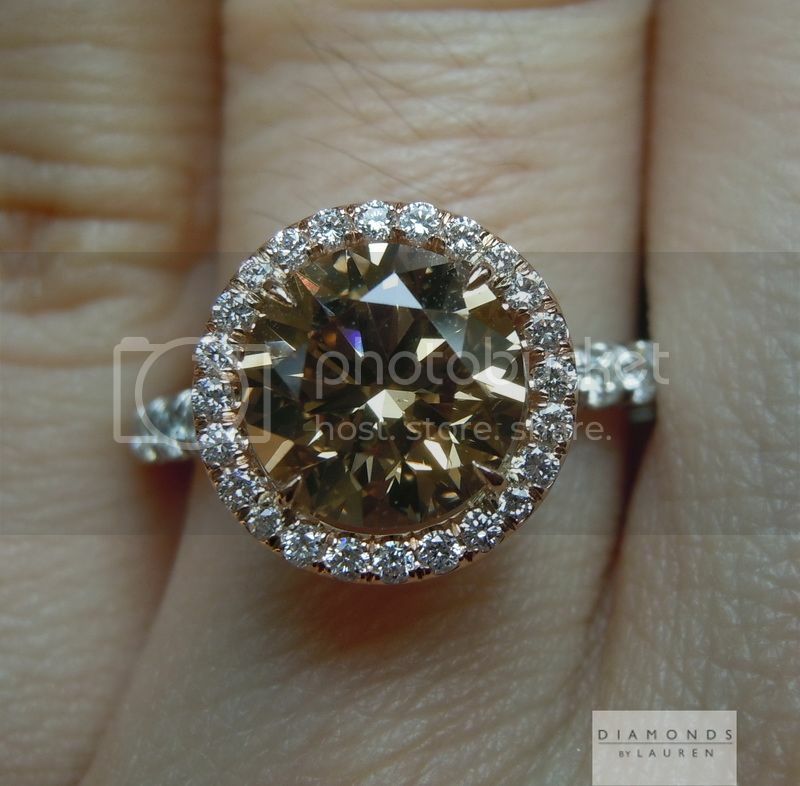 Speaking of color, it is quite coppery and complex and its hues. 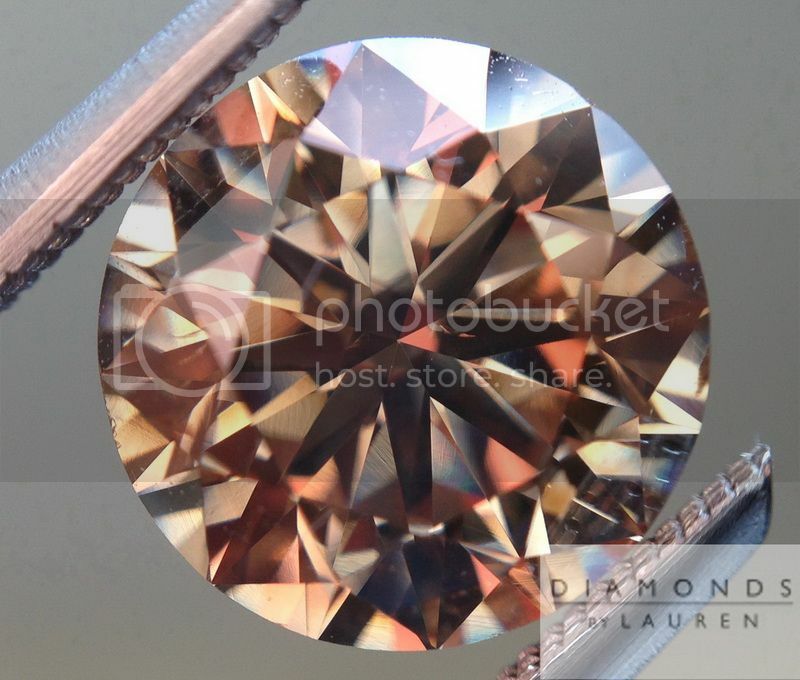 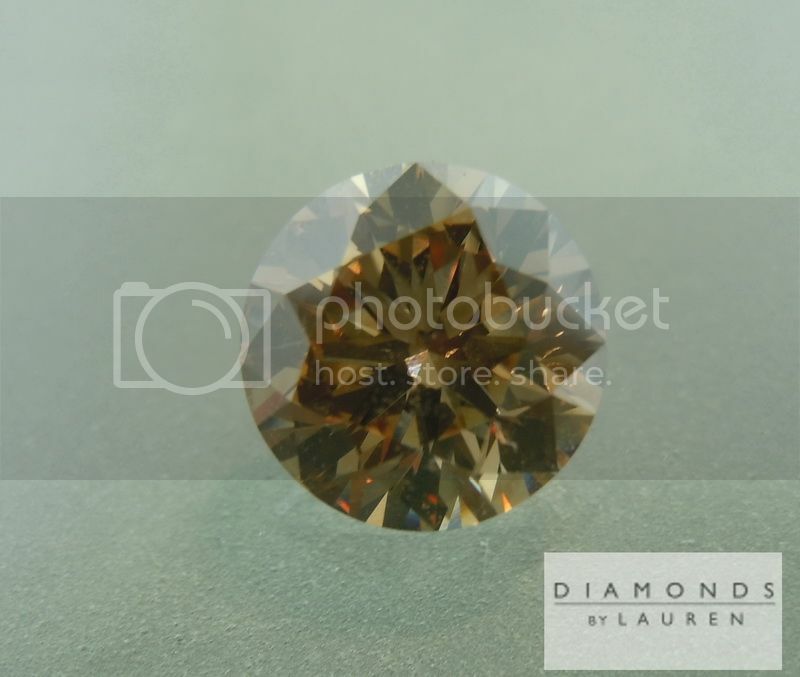 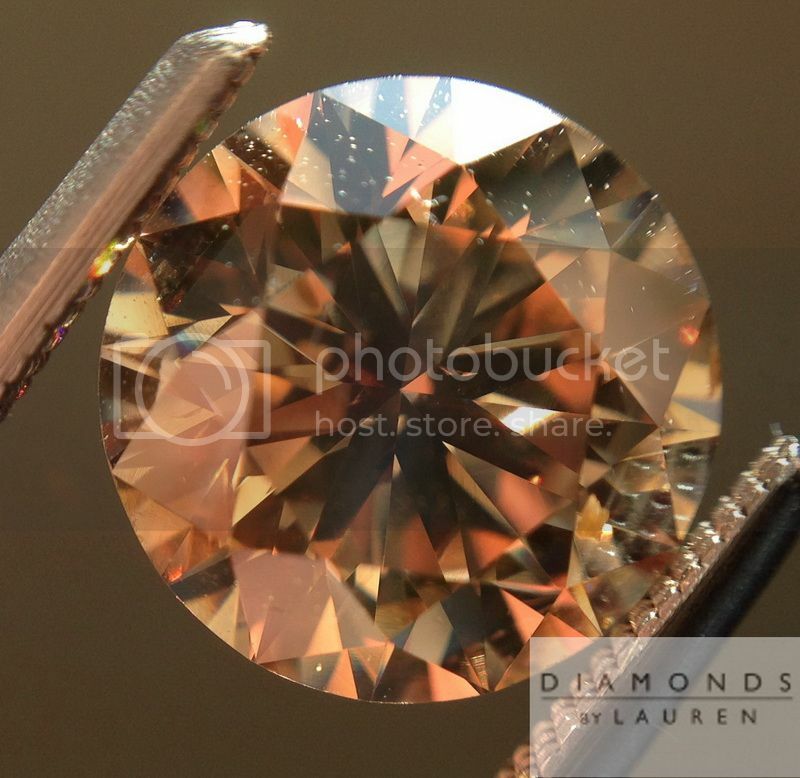 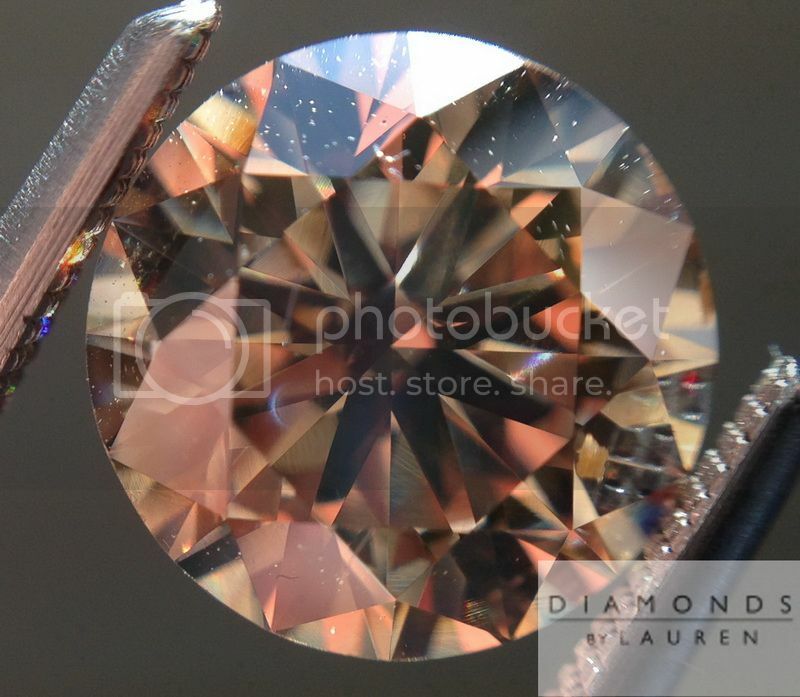 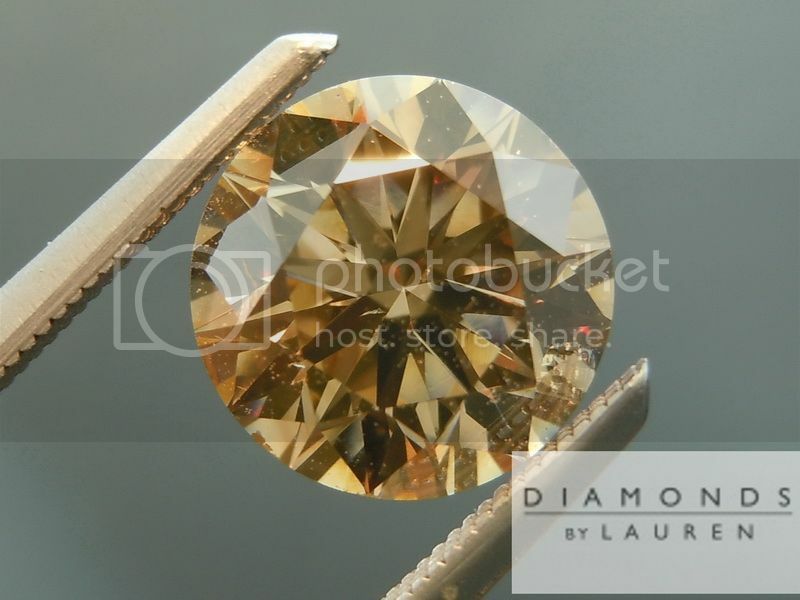 This diamond is relatively clean for a brown stone. 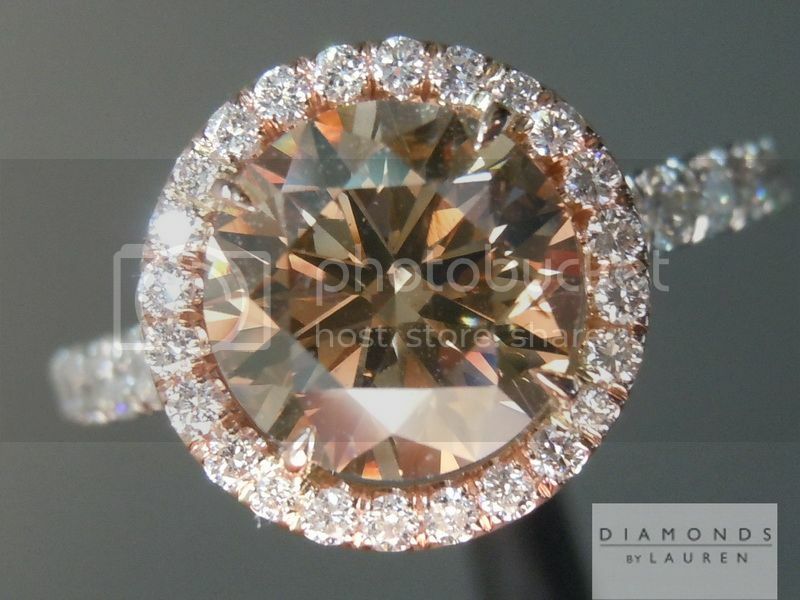 This is a great value in a pretty large diamond. 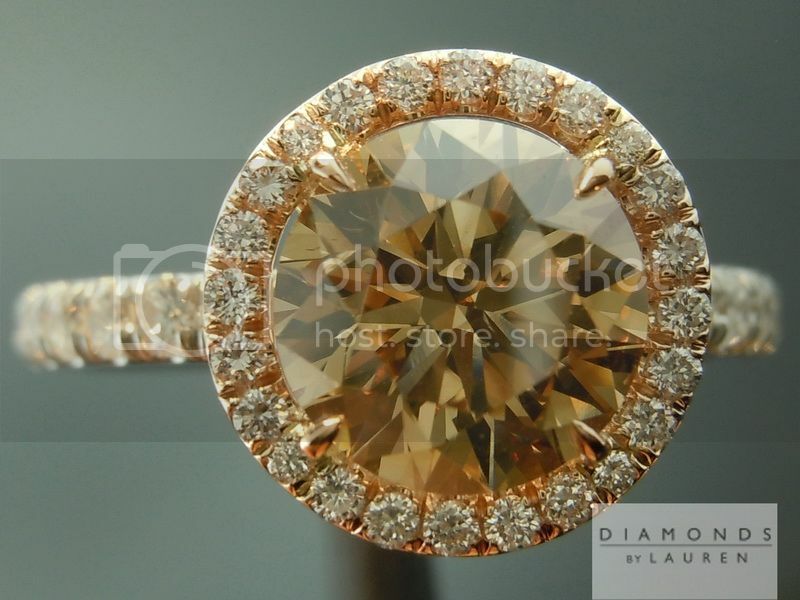 As a lover of coppery brown diamonds, I honestly couldn't imagine a more fitting setting - nor could I envision a better job being done in the manufacture. 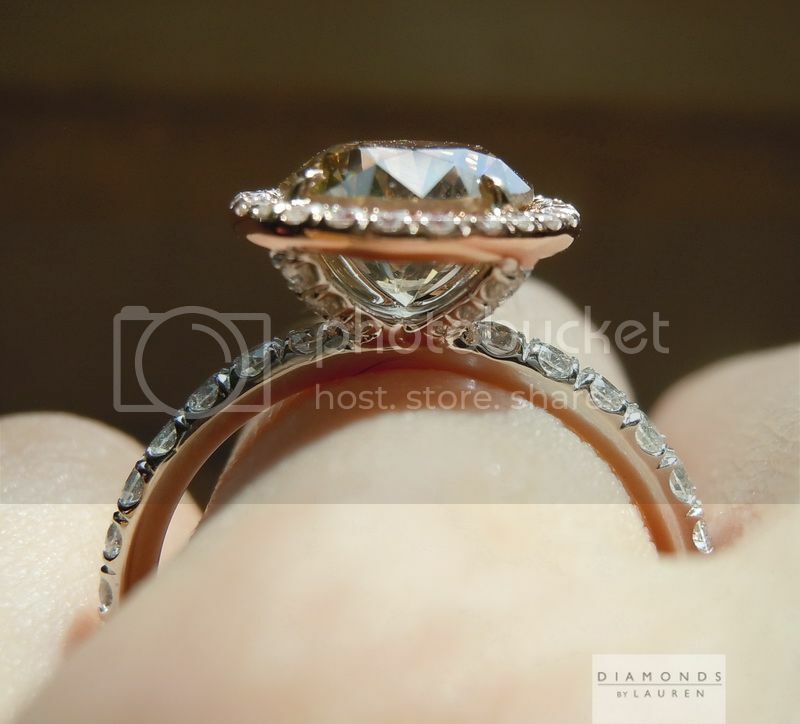 The ring looks and feels amazing. 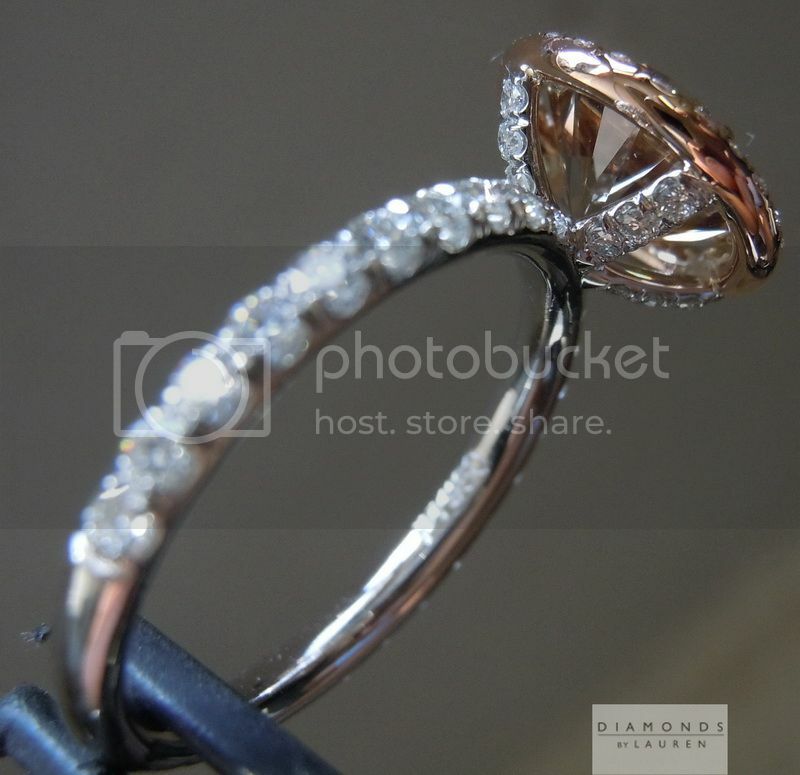 Even though the look is "delicate- the ring is built for daily wear. 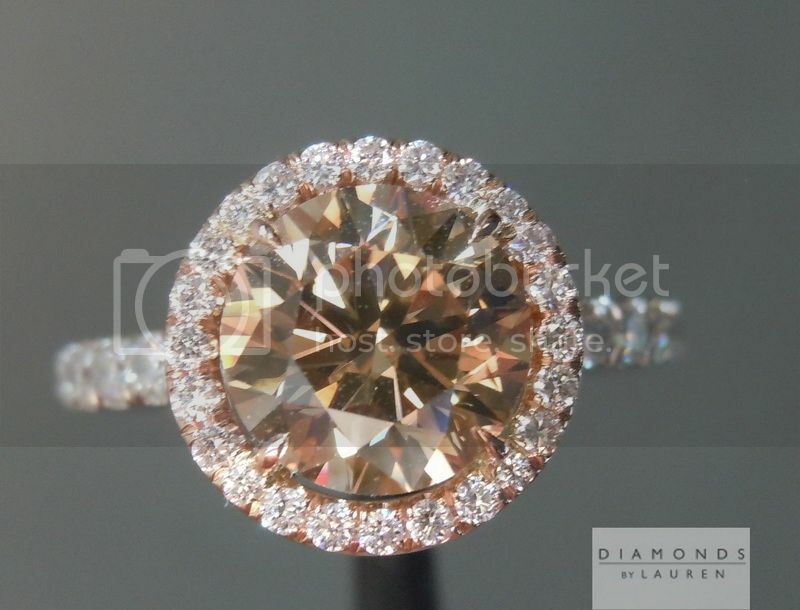 Carefully selected colorless diamonds sparkle like crazy.